Chambly, Qc. – With the 2019 MMIC Shows quickly approaching, KTM Canada is excited to announce for the first time in North America, the highly-anticipated 2019 790 ADVENTURE R and 790 Duke. Both models will be on full display at the 2019 MMIC Shows. These new models represent KTM’s commitment to an ever-expanding street lineup. KTM is also bringing back some key off-road models including the 500 EXC-F and the Championship proven 450 SX-F. Other notable bikes to the KTM lineup include the newly designed 1290 SUPER DUKE GT, the popular 390 DUKE, and the incredibly versatile 1290 SUPER ADVENTURE S.
KTM Canada will also have on display a selection of Powerparts, Powerwear, and Spareparts in additional to a set of street and off-road WP Pro Component suspension. This is an amazing opportunity to check out some popular KTM accessories and gear first hand. Finally, if you’re looking for information about the KTM ADVENTURE RALLY, KTM Canada will provide booth visitors with the ability to sign up for the 2019 KTM Canada Adventure Rally. If you’re interested in a KTM demo ride in 2019, KTM Canada will also be registering visitors for the KTM Ride Orange demo program with demo rides starting spring 2019. This is a great opportunity to try out the all-new 2019 KTM 790 Duke along with other popular bikes in our street line-up. 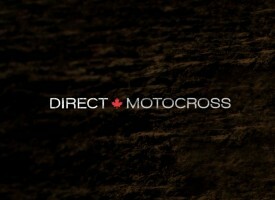 For 2019, KTM Canada will participate in all 6 MMIC shows. If you’re planning to attend one of the MMIC Motorcycle Shows throughout Canada, please stop by the KTM display. To stay up to speed and remain READY TO RACE, follow us on Instagram at @KTM_CANADA and Facebook at /KTMCANADA or check us out at www.ktm.com/ca-en/ . Poll Question: What brand of gear will you be buying this spring?